Nettle! Is it something common to use where you live? I think that, when thinking about nettle, many people just see the thorns, that this plant is a weed and that makes only trouble. 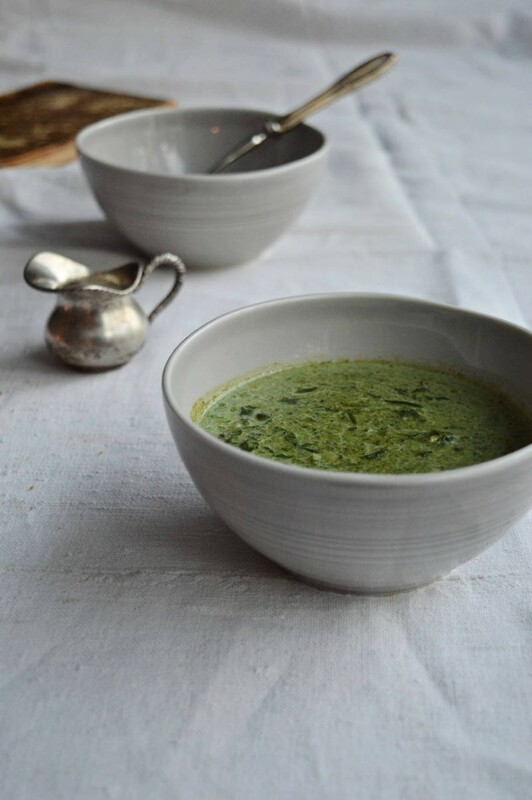 When I would still live in Italy, my granny used to make a delicious nettle soup (different from the one I’m suggesting you today, actually I should ask her the recipe of her version too! ), so that’s how I learned to eat it and appreciate it. We like to use nettle in our family. For some reason, we prefer it to spinach, maybe because of its taste which is more delicate, or maybe because it’s nice to pick it yourself and prepare it by yourself. Either way, we always have some nettle in our freezer. As soon as the snow and ice will melt and the nettle will be again available, I could make a “Finnish nature presents us” post about it, because this herb is really something amazing. It has so many nutrients and properties that it could be worth to make an article just about that, or what do you think? 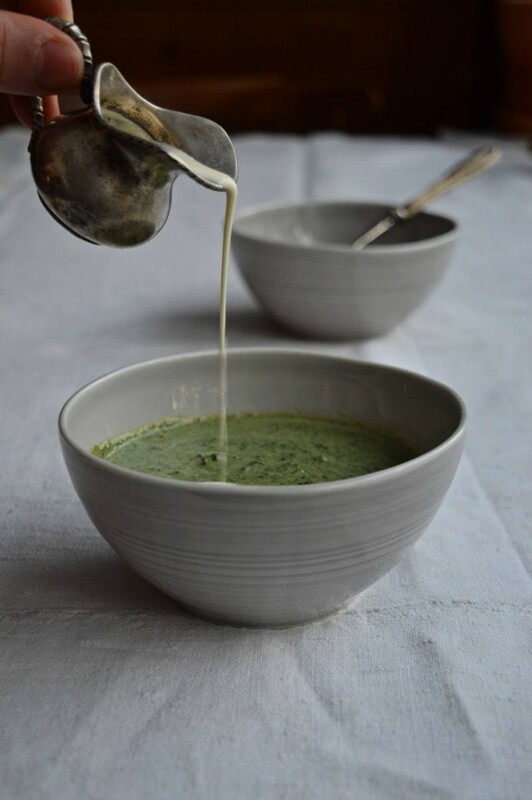 So here you go with a nettle soup recipe which is super good, easy and quick and even gluten-free! 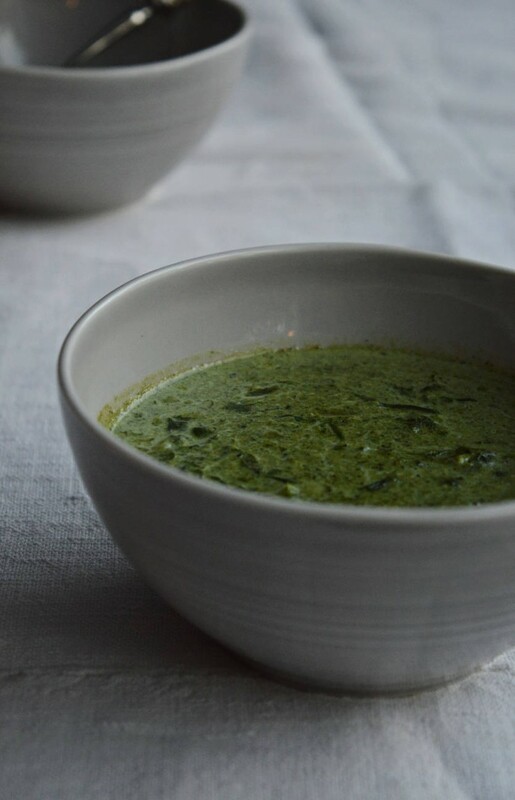 For this recipe I used boiled and blended nettle I picked last summer, thawed overnight in refrigerator. 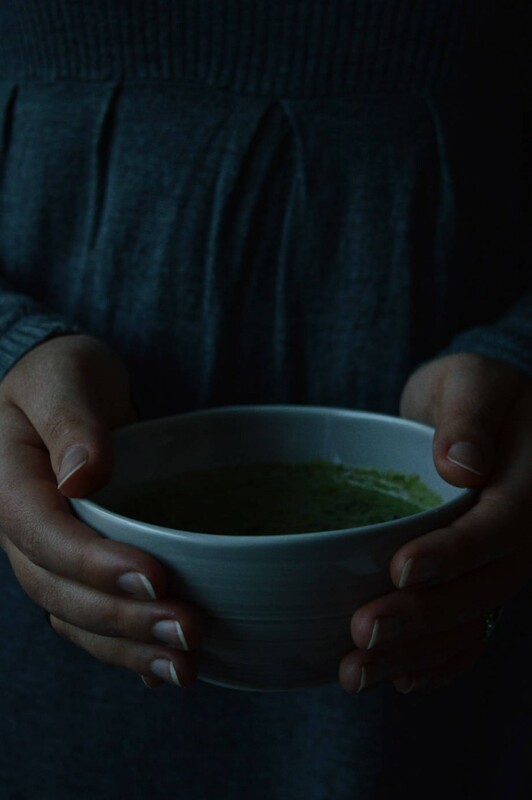 If you make this recipe out of fresh nettle, make sure to boil it few minutes beforehand, discard the boiling water and blend it.